The Pilsner Urquell brewery pictures are awesome. That's smart that they charge $5 to allow you to take pictures. WHAT?!?!?! You didn't tell me that someone recognized you in the streets and asked if you did the blog. How amazing and so cool! I love the picture of you crawling out of the beer barrel simulator. 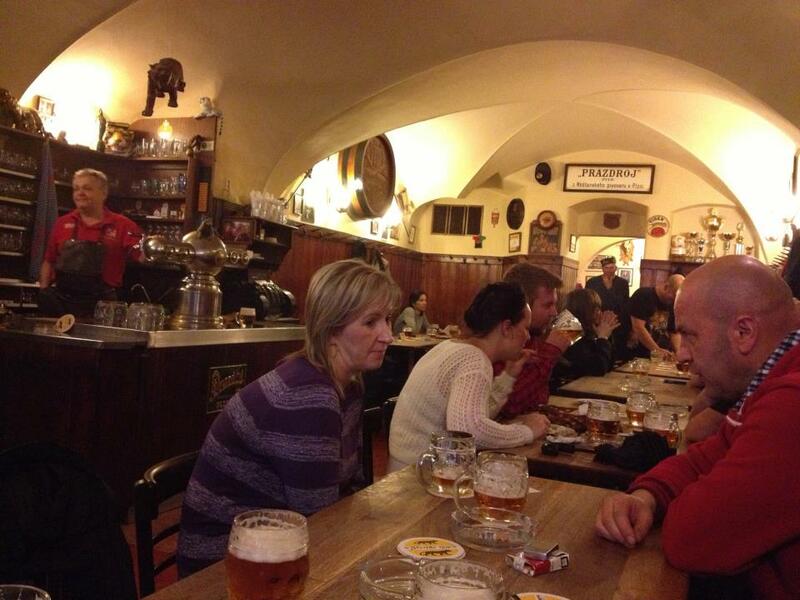 It looks like that Pilsner Urquell hat was glued to Dad's head the entire trip. Best nachos in Prague?!?! Very interesting. The oranges in the urinal look yummy...did you eat one? ;) EWWWW...Corona?!?! haha that's funny. Looked like another great trip to Prague and with your friends.